Michigan Concealed Pistol License Tip: You should apply for a CPL renewal exactly 60 days before the expiration of your current license. Your CPL expires on your birthday five years after the issuance of your first license. 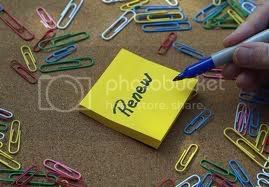 You will not be sent a renewal notice - I have my own thoughts on why they don't, but you have been warned. In any case, some County Clerks Offices will have your renewed CPL in your possession within that 60 day period between the submission of your renewal application and the day that your current CPL expires. If you do not get your new license within that period, you will be eligible for an automatic 180 day extension of your prior CPL that starts exactly 60 days after you turn in your renewal application. Pay attention: if you turn in your renewal application with less than 60 days before your current license expires, you will have a lapse in CPL coverage and can not legally carry a concealed pistol during that period. Also, when you turn in your CPL renewal application, you will be given a receipt that shows that you paid your $105 renewal fee. Make sure the Clerk's Office staples that receipt to your current CPL. You might get stopped during your extension and the cops in that city (I won't mention any names) might not know the law.